A few years ago the idea of a Saturday market was a dream. Something that happened in Europe, far away from where we were. The closest we could find here in Cape Town was a flee market and apart from a few Tannies (for my overseas readers, directly translated that means Aunty and is a less formal but still respectful way of referring to a lady) who made jam at home and oily fast food, these markets were a culinary dead end. Suddenly, everything changed and every weekend there was news of a new market opening somewhere in the city. Slowly but surely, no matter which part of town you lived in, there was a market near you. Understandably, a lot of traders wanted there products in all the markets and so it didn’t matter much which you went to they all had more, or less the same produce. So the markets had to come up with something else to set them apart. Each market seems to cater for a different sort of crowd and those that focus on their patron have done the best. Then one evening I get a DM from @sergleo asking if I wanted to come to the opening of a new market at The Palms Lifestyle Centre and I was more than keen to discover this new market. What would their “special something” be? How would they differentiate themselves from the already jam packed market offerings? I can’t lie, I am a sucker for new things, a marketers dream, so there was no reason for me not to go. We arrived wa-ay too early on Saturday morning due to earlier plans actioning way too fast. We had a cup of coffee and while TheHusband kept TheBug happy I walked around, watching trader set up, snapping pictures and slowly discovering what it was that made The Palms Market stand out. The underlying theme became clear. Fresh food from Die Platteland. Over the next couple of posts I will showcase the traders that were there on the first day. 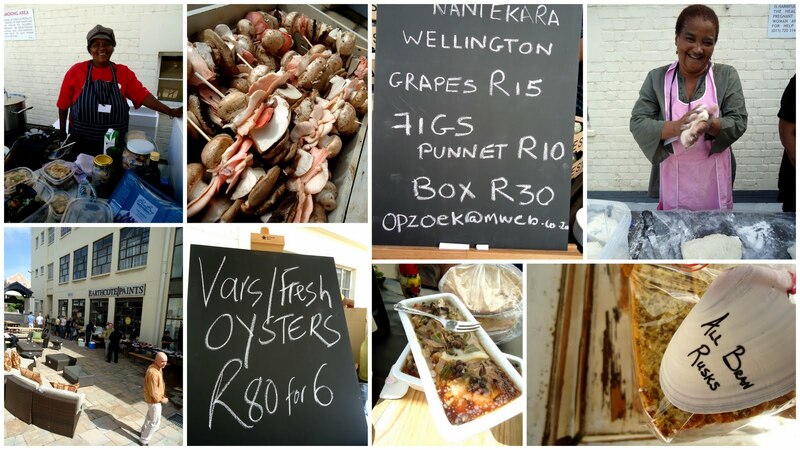 From fresh oysters, to crisp wines, fabrics, flowers, fruit and tea. Stay tuned and I will show you a whole new market. they Latkes are SUPER delicious!! !